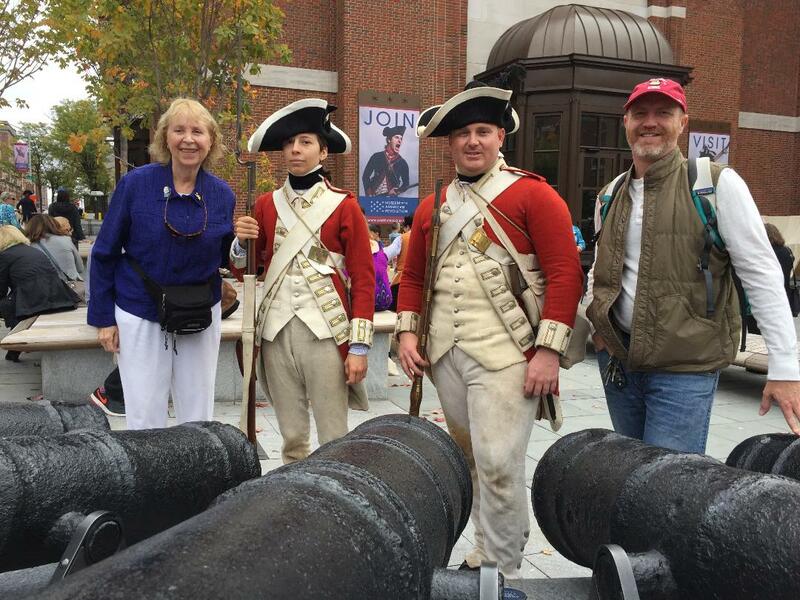 History detectives, Rusty Dyer and Jini Vail, are hot on the trail at the Museum of the American Revolution in Philadelphia. The above painting, titled THE SIEGE OF YORKTOWN, by mid-19th-century painter Henri Le Grand, is a copy of 1836 original by French artist Louis-Charles-Auguste Couder. Knowing is NOT enough. 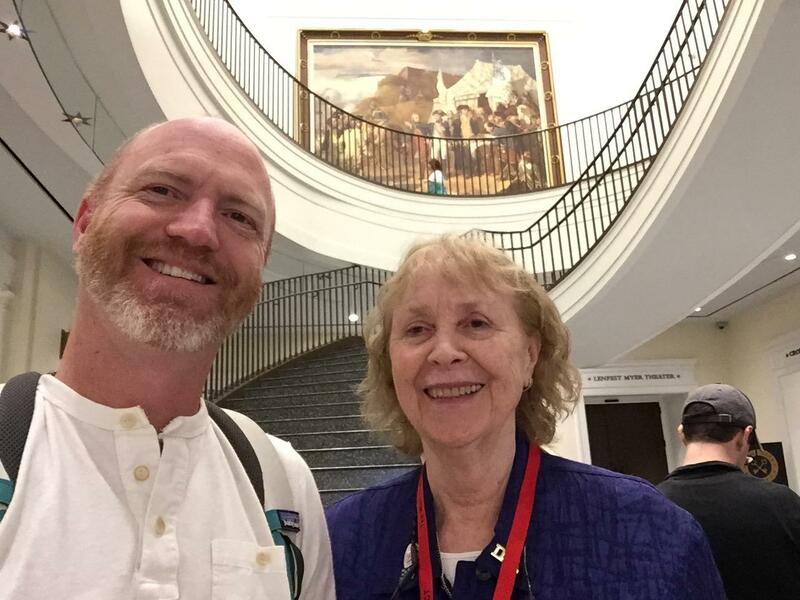 We still have a long journey ahead to find the missing original painting and to stand in front of it! Are you with us? 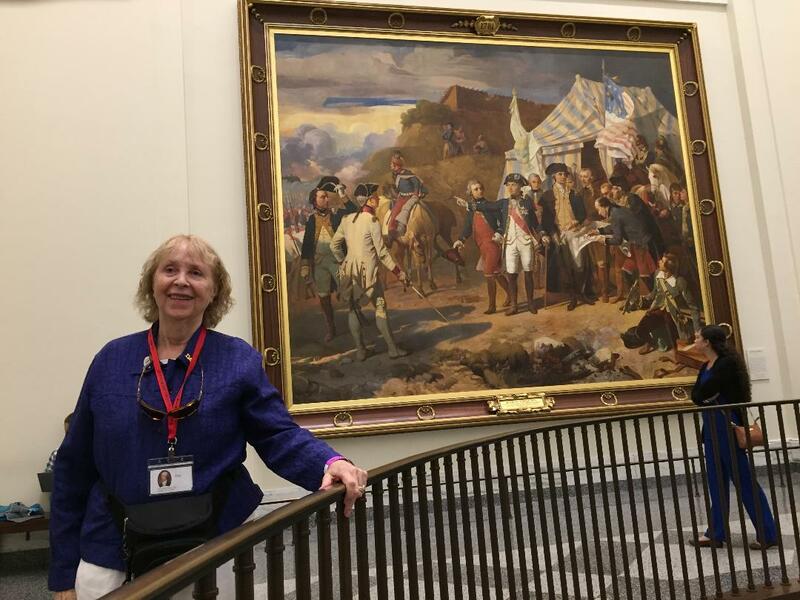 Jini Jones Vail with the Henri Le Grand copy of the Siege of Yorktown at the newly-opened Museum of the American Revolution (M*AR) in Philadelphia. The painting was restored and framed by the National Society of the Daughters of the American Revolution and then presented to the M*AR for our enjoyment. The above image represents my first visit to the M*AR in Philadelphia with my son, Rusty Dyer. This scene is in the atrium of the M*AR looking up to the central painting at the top of the stairs.